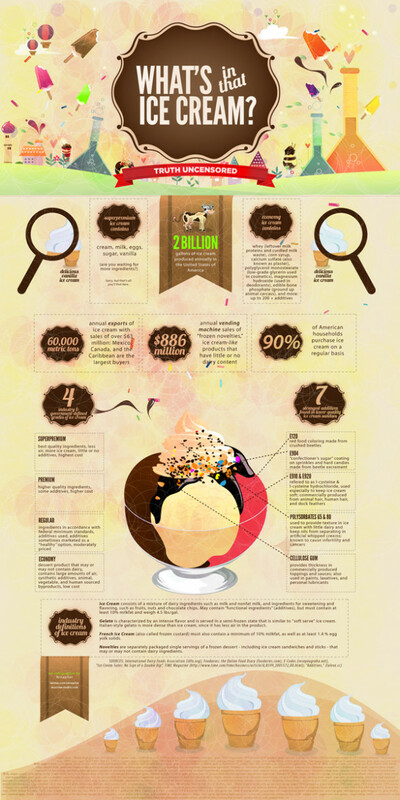 This infographic has been designed Designed by Nina Pilar, andgives us the “scoop” on American’s favorite dessert…ice cream! With a full 90% of households buying ice cream on a regular basis, it’s no wonder that 2 billion gallons of ice cream are produced annually. With the simple ingredients of cream, milk, eggs, sugar and vanilla…it can even made at home. Interesting, of the $886 million in vending sales, these machine versions contain little to no dairy content.